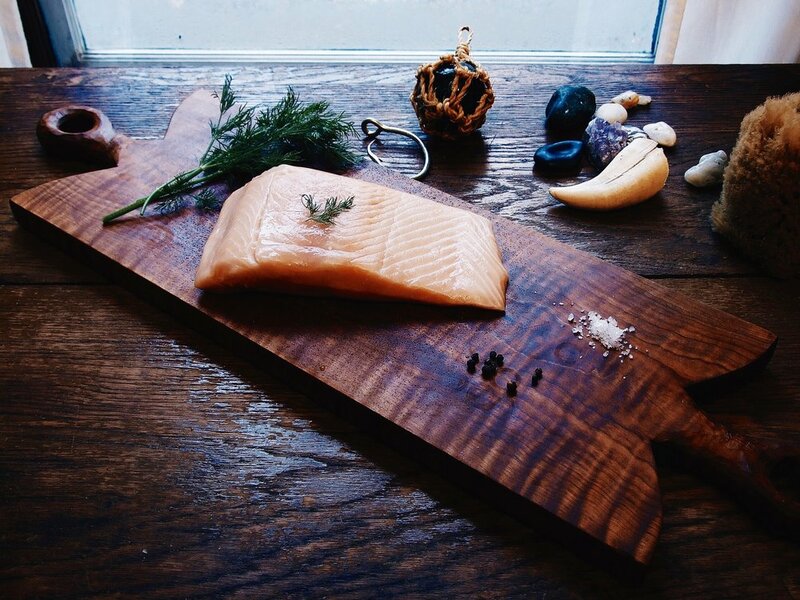 We believe in pure, clean, high quality wild salmon direct from the fisherman! We believe in supporting the local economy and our neighbors. We believe in fishing practices that support the environment and feed our bodies and souls. We believe in superior, healthy, line caught salmon; and we want to share all this and more with you! All of Honeywilya Fish’s salmon are wild, sustainably caught by hook-and-line, individually landed, immediately cleaned and gently handled. Without the use of nets, that can be detrimental to other species, this small quantity catch method ensures an attention to detail and superior quality with each fish. Each salmon is blast frozen at ultra low temperature to lock in optimal freshness. Sent with love from our boat to your table. These are wild Pacific fish that have been caught in their natural environment of the Pacific Ocean. They are free to roam, eat and grow as they have for millions of years; just the way nature intended them to. Farmed salmon are born in to a sedentary lifestyle in pens (potentially being overcrowded) and fed a diet designed by man. Chemicals, like pesticides, are applied in many pens to offset the effects of overcrowding and, in turn, have the potential to damage the surrounding ecosystem. Farmed fish are fed a diet to grow quickly which can then be filled with saturated fats and toxins. Wild caught fish is the environmentally friendly, healthy choice that you can feel good about! A recessive gene produces the ivory flesh of this rare beauty. Expect the highest Omega-3’s and a buttery, velvety flavor and texture in this delicacy. A long time Alaskan favorite, impress your family and friends or simply have the best with this unique salmon. The largest and most elusive of the the five pacific salmon species, also known as Chinook, these salmon are prized for their color, high oil content and their buttery, succulent flavor and texture. The favorite only second to its ivory fleshed twin. Coho, or Silver Salmon, with its orange-red flesh, firm texture and delicate flavor, is an excellent choice for any cooking method but often considered the best salmon for grilling. Smokey and sweet with a dark glaze. This is great for cheese and crackers, dip, salads, pasta, bagels, backpacks and picnics. A lot of non-believers have been converted with this tasty treat.